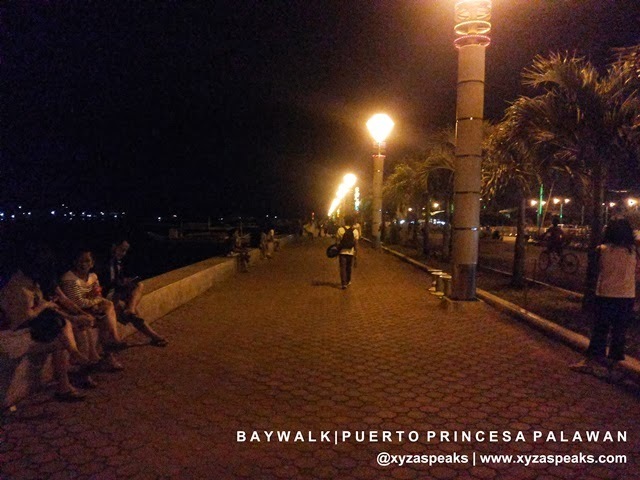 Puerto Princesa City Baywalk. It used to be a squatters area but after a fire swallowed the houses of the people, they were no longer allowed to built houses in it. 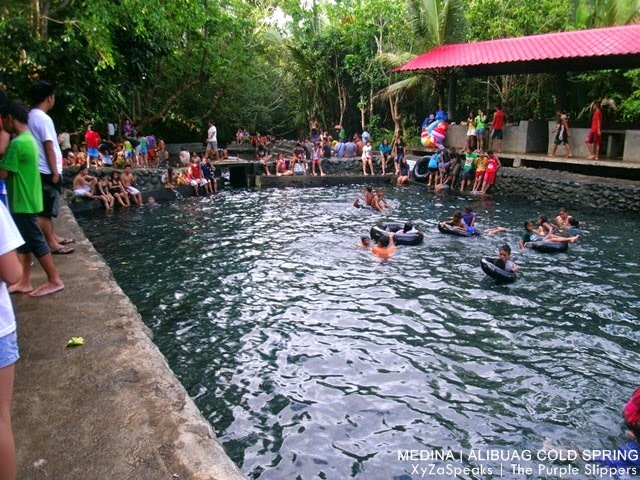 The city turned it to a tourist and local destination to unwind and relax and they developed it to a Baywalk. The people were of course not taken for granted. The city built a tenement few meters from the baywalk, where they now live in it. 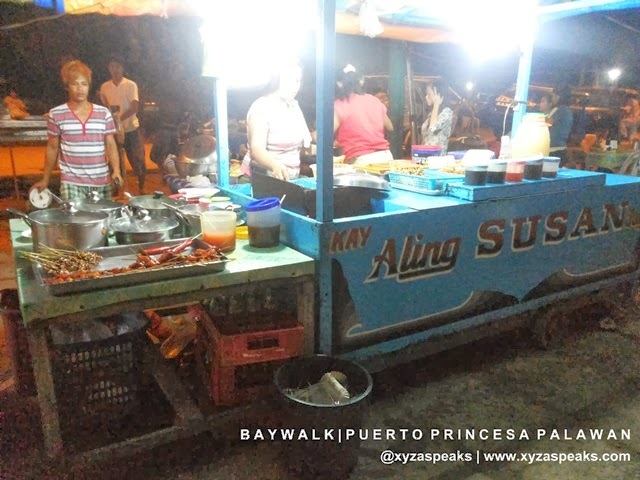 They were asked to take care of the place and they were allowed to make a living out of selling barbecues and pasalubong items for livelihood. It looks prettier in daytime, good for photo ops because you’d be able to see the baywalk clearly, but there are few people at daytime. 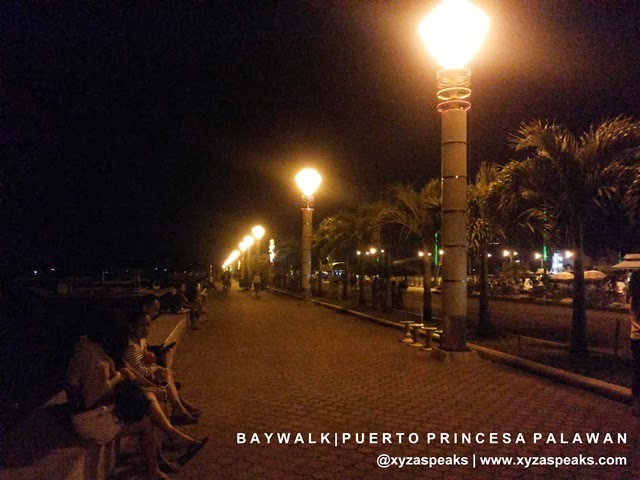 It looks like just baywalk when you visit it at day. 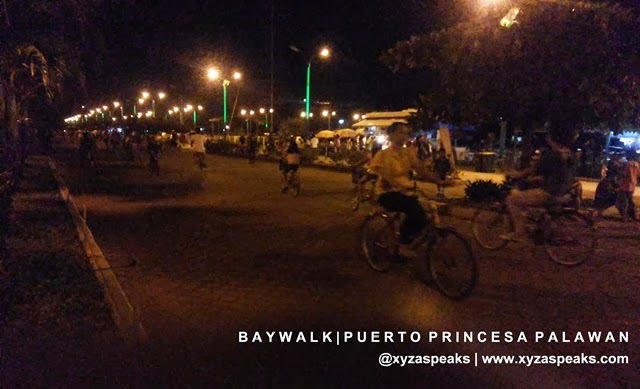 I prefer visiting Baywalk at night time, because it’s busier and people are flocking in to relax, rent a bike and strolling around baywalk. 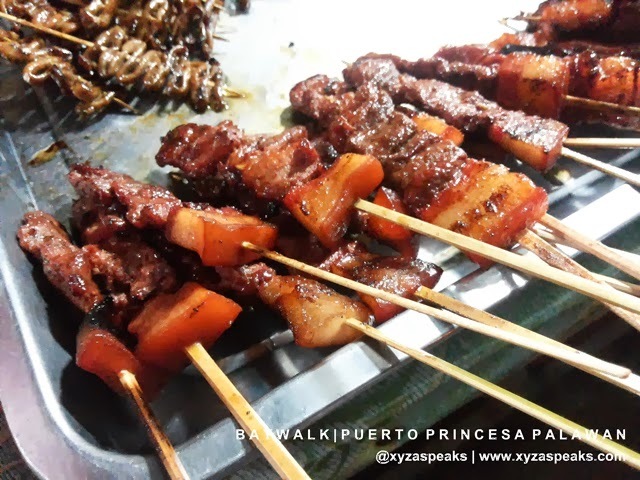 Barbecue stalls are alive and a lot of people are dining in too. 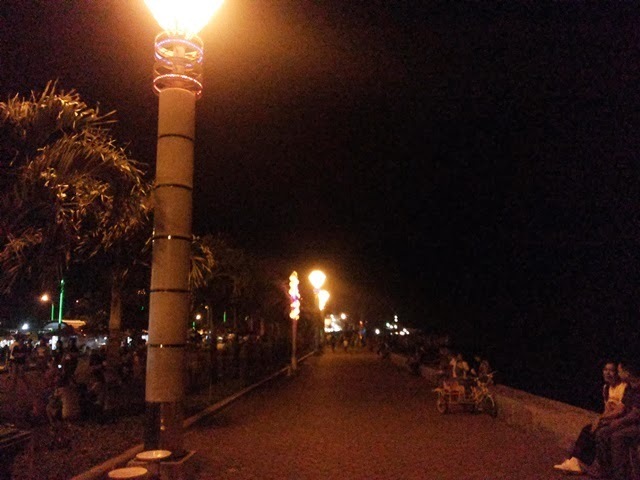 The baywalk is actively being guarded by Baranggay tanods. They make sure no beggars are strolling around. They even catch them if seen asking for money or food in the dining areas. All lights are up at night and it looks festive everywhere. 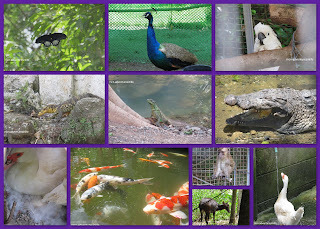 There is also a “peryahan” or amusement rides nearby, so if you prefer to hop on the rides or gamble and play you can check them out there too. Fare from the hotel is 10.00 pesos per person if the pedicab is in full capacity. But if you're alone, you'll have to pay for at least 2 seats.